Elite Bloomington Appliance Repair is pleased to serve customers in Hennepin County, MN and in our community. Our appliance repair service is family owned and operated and we focus on excellent customer care and attention. Every day we do all everything we can to demonstrate to our customers that we truly appreciate their business and their trust! You are in good hands with our certified local experienced repairmen. 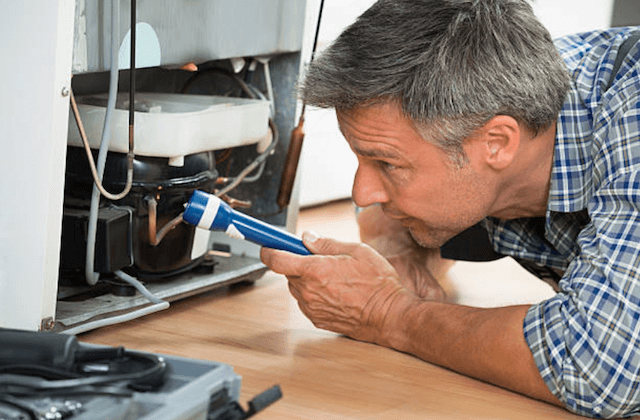 Our technicians add routine training and education to their years of experience in order to make sure that we are able to perform all repairs on your household appliances. Because we keep up with regular training we are able to fix any older models and any new brand, model or technology. We always are glad to provide same-day service to residents of Bloomington. We routinely finish all refrigerator repair, dishwasher repair, washing machine repair, oven repair, and all other services the same day that you call and on our first visit. We repair these major brands: Maytag, GE, Whirlpool, Samsung, KitchenAid, Wolf, Sears, Bosch, Kenmore, LG, Sub-Zero, Frigidaire and more. Consult the list FAQ list below. We fill our vans with manufacturer parts. There is a 12-month warranty for all labor and parts to keep your warranty valid and to guarantee your satisfaction every time we serve you! Bloomington Appliance Repair will fix your refrigerator and freezer problems on any major brand or model. From burnt-out bulbs to modern smart technology, we fix it all. Touch panels, leaks, loud noises, cooling issues, water dispensers, condensation, ice makers and more are routine same-day repairs. Our skilled technicians identify your problem and use manufacturer parts to repair your refrigerator. As your local appliance repair company, we are on-call to fix broken range hoods and stoves. We will repair gas or electric models and all problems with to ignitors, relays, switches, burners, doors, bulbs and more. 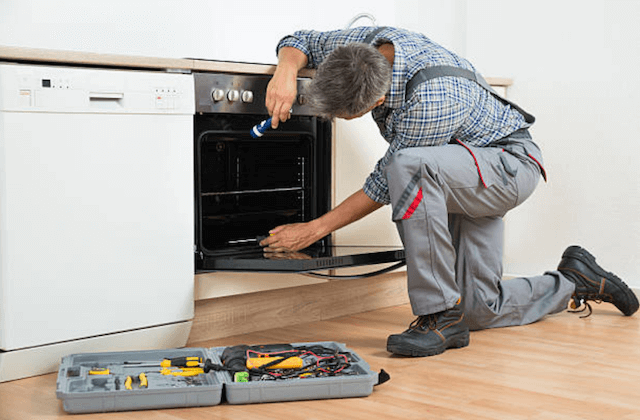 Our repairmen have the training and tools to resolve all types of oven problems fast! And, this includes new models and all new technologies. If your dishwasher has broken down, call us to fix it the same day. We fix all common dishwasher problems including – cloudy glassware, impellers, pump assemblies, odors, float switches, solenoids and any other part. A dishwasher is a complicated appliance. Lots of things can go wrong and affect the wash cycle or keep dishes from drying. Our experienced technicians will fix any and all problems the day your call for help. It is a major inconvenience to have a broken washer or dryer in your home. Who has time for trips to the laundromat? Call us and we will send a repairman the same day. He will arrive as scheduled and will diagnose and make the necessary repairs in one visit. 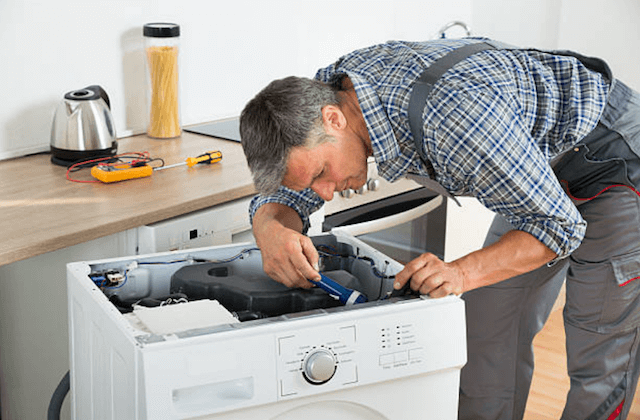 At Bloomington Appliance Repair we repair both top-loading and front-loading machines. We do same-day repairs for vibration, noise, door, agitation, switch, control board and vent issues. “I can’t believe how fast the repairman arrived after I called! The woman I spoke to on the phone said they could fix my dishwasher that same day but I didn’t know it would be in an hour! What wonderful service!” – Sally O. “Jim, the repairman, came to our home on-time and fixed our refrigerator very fast. He had all the parts and tools he needed in his van and knew just what to do. We will be recommending Elite Bloomington Appliance Repair from now on.” – Greg P.
“You won’t find a better appliance repair company in Bloomington. I’ve hired others in the past and none compared to the professionalism and expertise I received after I hired Elite Bloomington Appliance Repair.” – Pamela S.